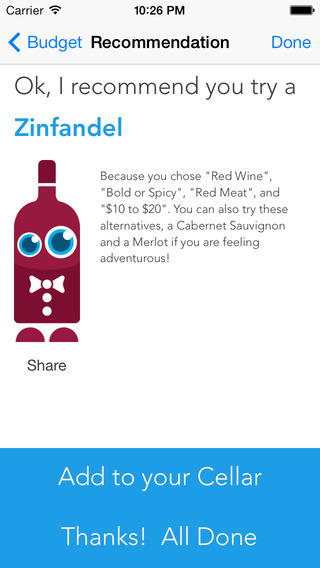 Meet Winebot. The easiest way to learn about wine to those of you who know, at least, that you like to drink it. Want to know whether to open a bottle of wine the same day or save it for 4 years? 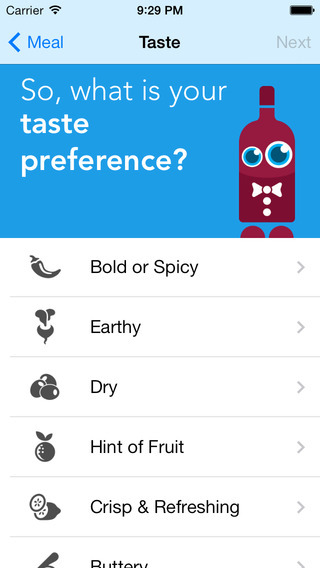 Ask Winebot. Want to know what kind of wine goes well with a light chicken dish? 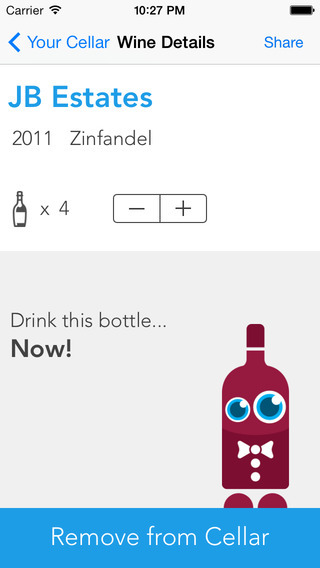 Ask Winebot. Do you notice you have more bottles of wine in your cellar than you can keep track and organize in your mind? 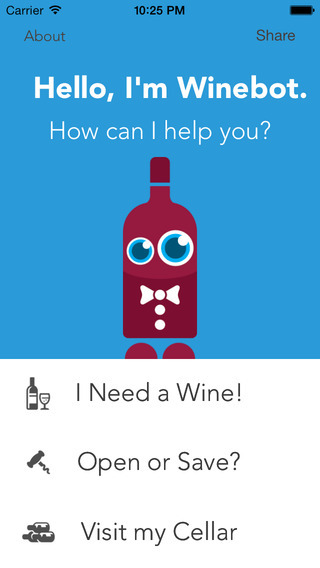 Ask Winebot to help you manage your cellar! Recommendations in 30 seconds or less, which is key when you are at the restaurant deciding what wine to order, or when you are hosting a party at home and want to know whether to grab the 2009 Malbec or the 2007 Zinfandel! So give Winebot a chance and see if you haven’t learned a thing or two about wines after a few weeks!